Okay, I admit it, I drank the Italian Kool-Aid wine the month of April last year. I’m also guilty of building daily itineraries-based from months of research, even down to the distance between point A and point B. I kept a diary and tracked all “Euro money” spent by converting the current daily exchange rate, every night before bed, so that I knew exactly how much I had spent. This was not my first journey to Europe. I’m lucky to say that I can count on all my fingers and some toes, how many times I’ve been there. The exception to this was that I witnessed spring blooming in Tuscany, the Amalfi Coast and Rome, just shy of a month-long trip. 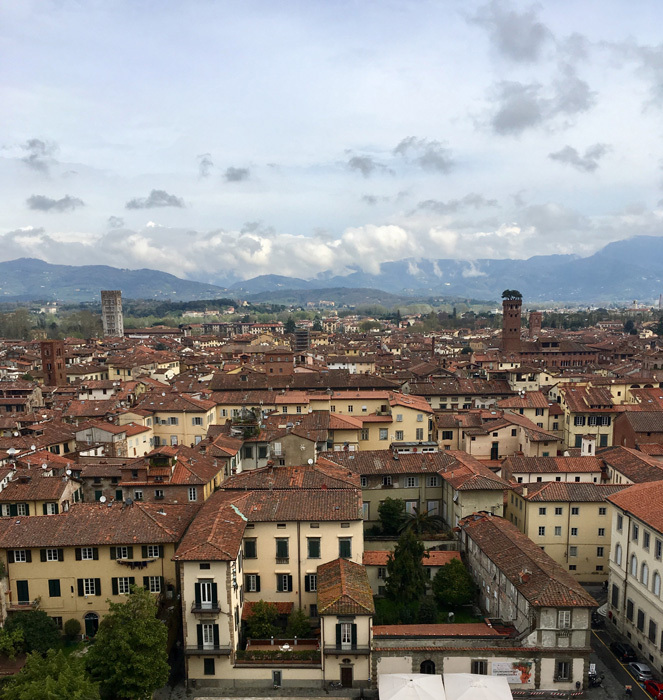 Another goal was to live among the Italians, walk their streets in tandem, wash laundry that dried on clotheslines and immerse myself in their lifestyle by taking apartments in all three locations. I would like to share just a few highlights and the impact on how and why this trip affected me so profoundly — an indelible imprint, which brought me such joy. 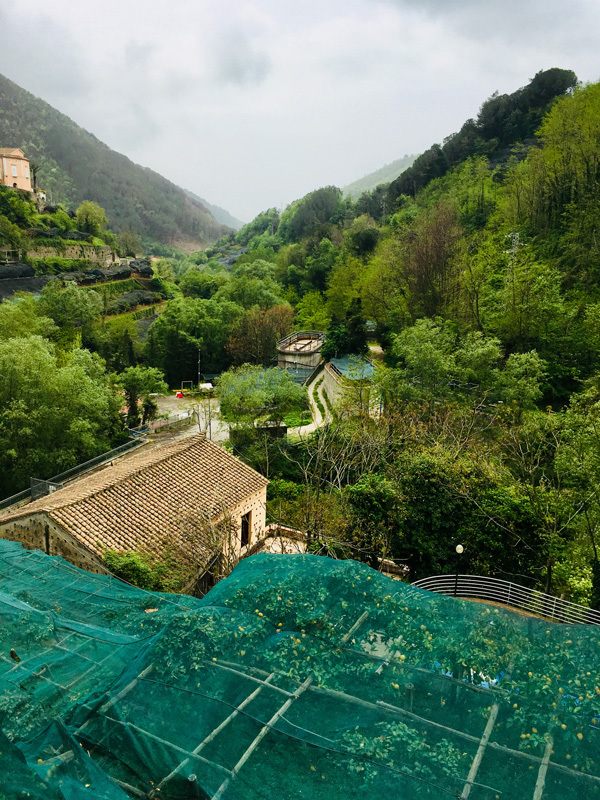 Torrents of wind and rain thrashing and splashing sideways greeted us at the Rome airport before our drive of three-plus hours to the walled city of Lucca, which was our home base for nine nights and eight day-trips. Charming Lucca was founded by the Etruscans and became a Roman colony in 180 BC in northern Tuscany.Once the rains stopped, we were amazed to see the vistas surrounding Lucca, the snow-capped Apuan Alps off in the distance, the vineyards beginning to green their woody vines of flowering plants growing on 50-degree slopes going up or down a hill, and the olive trees with their silvery leaves that were beginning to blossom. 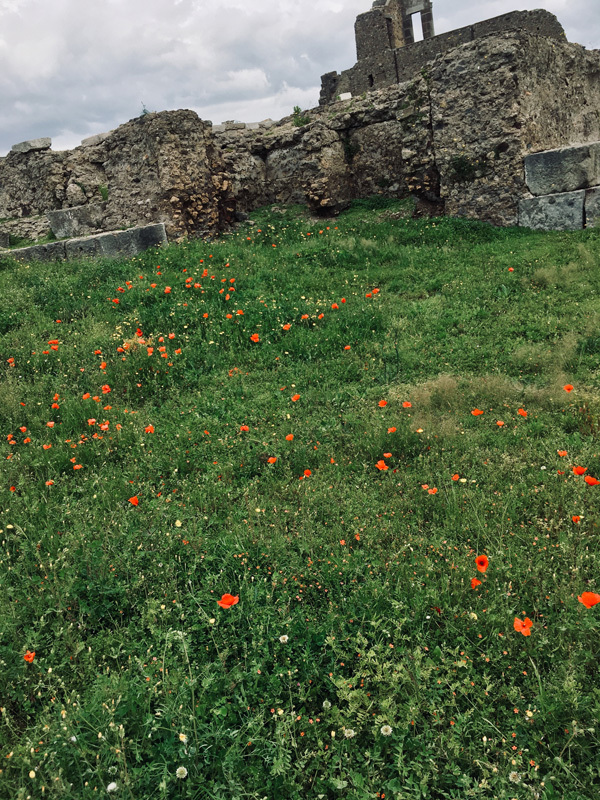 Immense patches of wildflowers cascaded the countryside in vivid yellow gorse, and fields of red poppies and banks of wild roses ignited my senses. 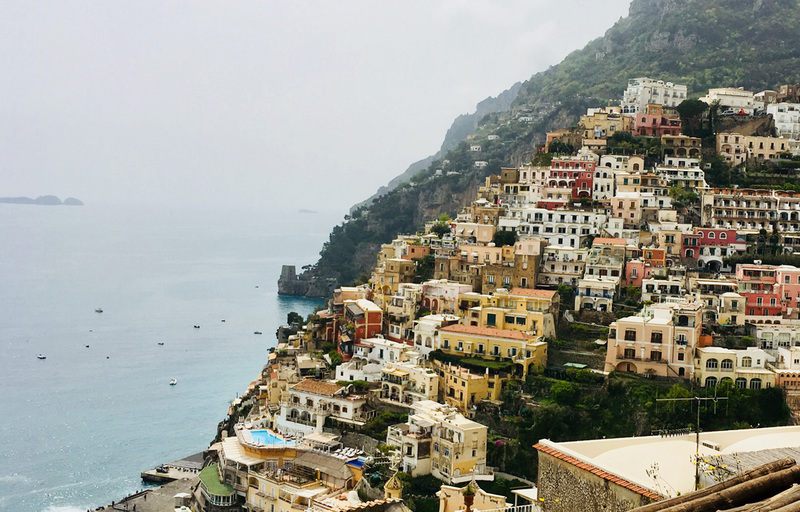 Our second destination took us six-and-a-half hours from Tuscany, skirting Naples proper, to the Amalfi Coast. 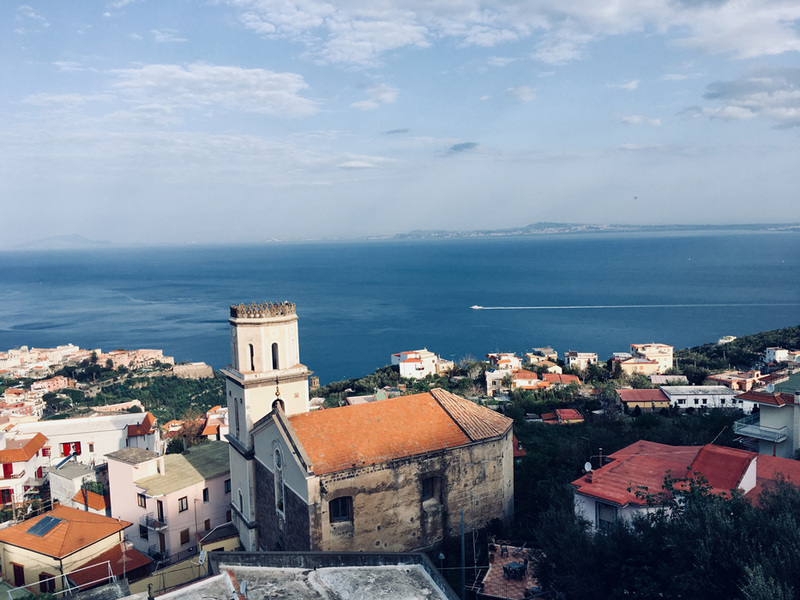 Our apartment in Vico Equense was pushed into a crevice, two floors overlooking the Bay of Naples and the Tyrrhenian Sea, with glorious patio views and church bells that chimed in late afternoon. The Lattari Mountains colonize homes dripping down or nestled in between valleys sliced into the hills, gushes of lemon tree orchards with bright green netting protecting them as they grow to the size of grapefruits were everywhere, narrow streets literally the width of an American minivan and the occasional tour buses listing and belching past, motorcycles veering in and out of traffic, and last but not least, hairpin turns everywhere. Seven miles can literally take 45 minutes at five miles per hour. 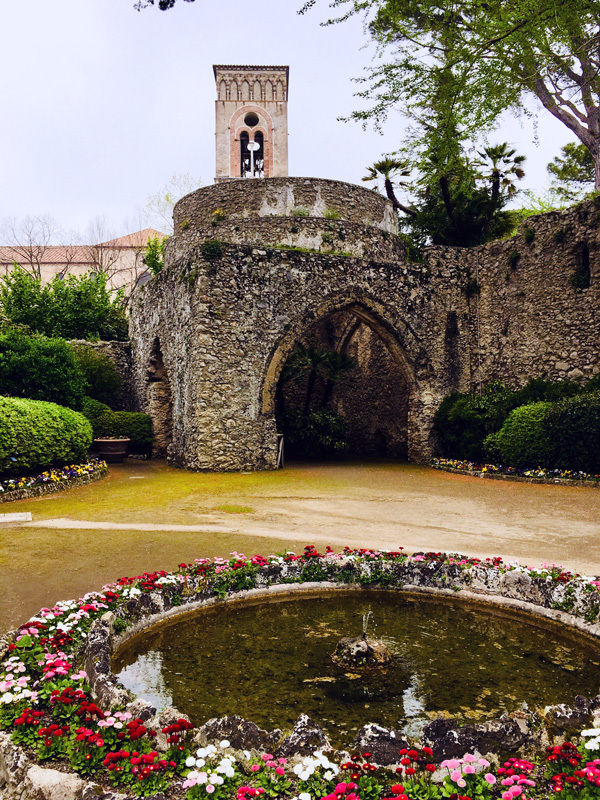 The estate of Ravello (a known favorite of Grace Kelly and Jacqueline Kennedy), 19 miles from our apartment, took us an hour to drive. No guard rails, traversing one mountain belt to another, European toy-sized cars, more tour buses, white knuckles stuck to the steering wheel or me holding on for dear life grabbing the dashboard, and massive grey mesh support sheeting drilled into the sides of the mountains for safety from falling rock and debris. We finally reached yet another high ground, cutting through the mountain to our final destination. 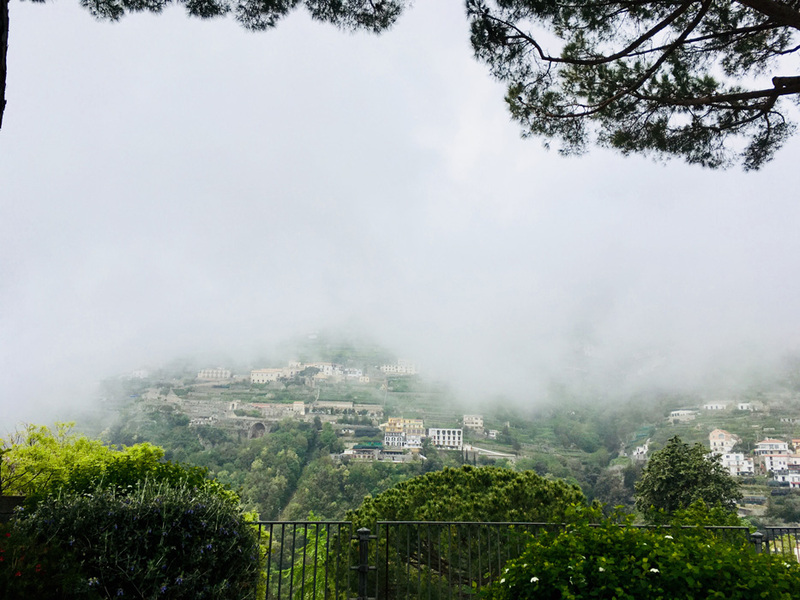 The higher we went, the cloudier it became and after touring the estate and the abundant gardens, we lunched under a tremendous purple and white wisteria trellis, had our daily half-carafe of wine, and were transfixed literally in the clouds. It was otherworldly. 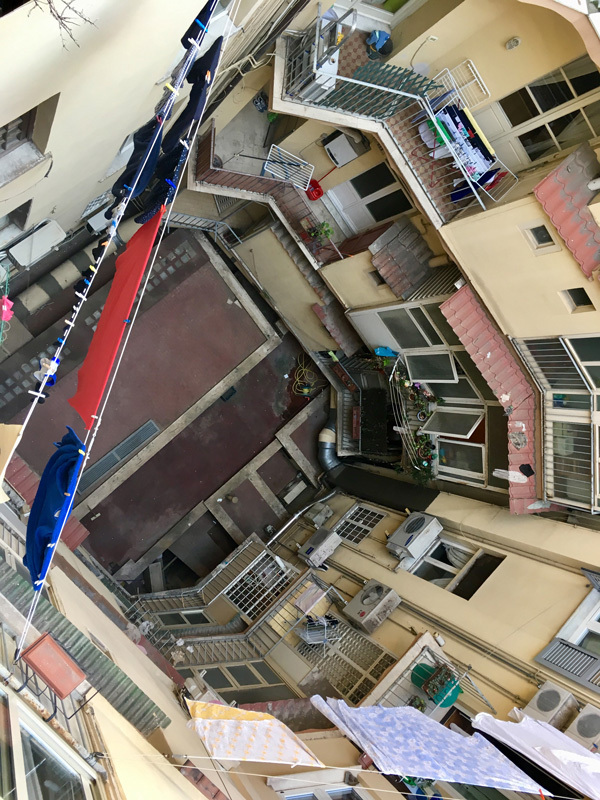 On to Rome, in our 5th-floor (top floor) apartment and on our patio that overlooked an inside courtyard akin to “Rear Window,” we clearly heard Italian conversations, smelled the aroma of Italian cooking, and saw laundry hanging on lines to dry, ours included, since there are no dryers. Simply, roaming Rome and either revisiting favorite sites or finding new ones, each day was filled with sunshine and azure blue skies, a blue that is indescribable and unforgettable. Lunch was at two o’clock, and dinner was at eight o’clock, with an afternoon break when everything shuts down and reopens at dusk. I assume by now that you understand the gist of how we travel. There were no scheduled tours, no time requirements or restraints, no guides with microphones nor air-conditioned buses. We had the freedom to drive our Fiat 500 equipped with a soft-top and came and went as we pleased on our own time, driving at 120 km per hour totaling 1,400 miles before dropping the car in Rome. Thanks to modern technology, we were able to use our phones that guided us where to drive to a destination while in Tuscany and the Amalfi Coast. 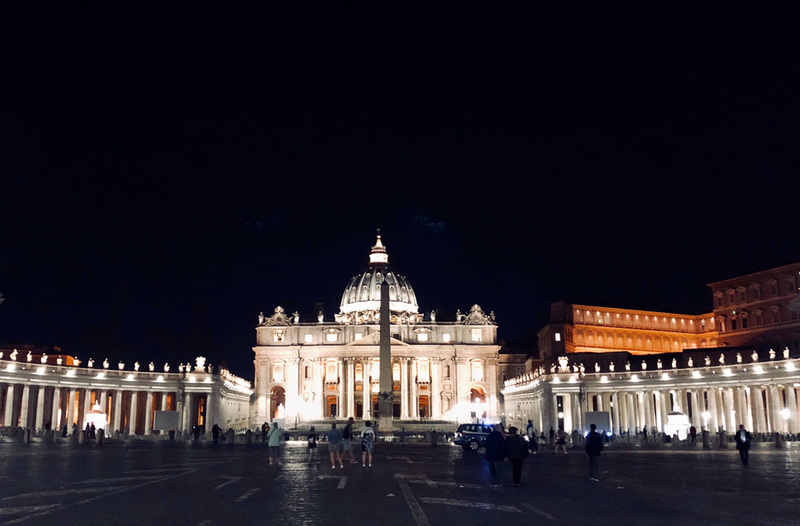 Once we were in Rome that technology became invaluable information for directions and distance it would take on foot or where to find the closest streetcar or hop on a bus to traverse Rome to reach our apartment two blocks from the American Embassy. It was mid-April while we were on the Isle of Capri that I found myself again — almost a reintroduction of the innocent child that I had cast away and forgotten about decades ago. I was at peace, content, living in the moment, introspective and grounded, and my only desire was to retain the light that ignited my soul and transformed me. No, it wasn’t the Italian wine, the food, the cooking class, nor the mountains or sea or the breathtaking sights, or the ruins, the history, the art, the serene churches, Florence, Pistoia, Sienna, San Gimignano, Volterra, Pompeii, the Amalfi Coast, Rome, or the Caravaggio’s, Michelangelo, da Vinci, Bernini, and Borromini masters; this went much deeper within me, a profound epiphany. My perspective changed about how I view myself, how to prioritize, how to maintain my own tranquility and how to think and process and balance my internal self — in a much larger world than the one I thought I was living in. 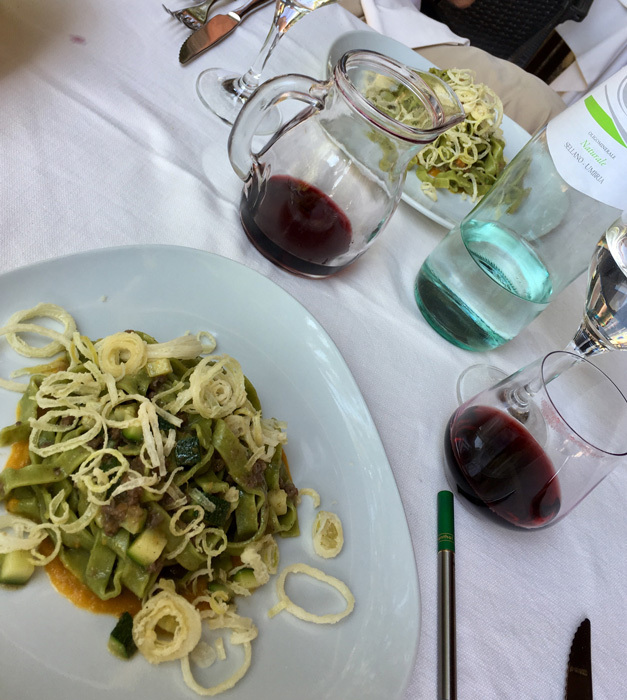 People will ask me now, “Aren’t you sad to be back?” I don’t think my answer will ever change: I tell them, “I haven’t left Italy, I’m still there.” Guilty as charged, I drank the Italian Kool-Aid wine and loved every drop! Heidi Nast is the Executive Director of the Arts Engagement Foundation of Kansas City and Co-Founder of KC Studio Magazine. Covering Kansas City's performing, visual, cinematic and literary arts.